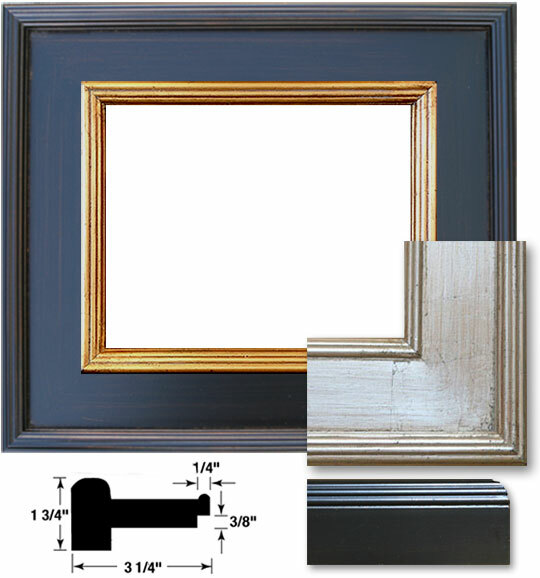 The Wachtel is a stunning and elegant flat panel solid wood plein air frame. Rich, dark espresso with gold lip or broken silver metal leaf and fluted cap. Approximately 3 1/4" wide and 1 3/4" high.